The introduction starts out well by establishing that you must be ‘born again’ before you can join the kingdom of God. The lesson is also correct to imply you must have a spiritual birth before you can have spiritual growth. However, unless you renounce the non-biblical Adventist doctrine of the human spirit there is no way for to you to truly understand what Jesus means by “you must be born again”. Throughout the lessons for this week orthodox Christian language has been adopted which makes Adventist teachings seem compatible with churches that have their theology founded solely upon Scripture. The critical difference is in the detail. A significant difference in what Adventism teaches versus orthodox Biblical theology is in the nature of how God created man and what happened when Adam and Eve sinned. It is only of the human race that God said; “Let us make man in our image”. While animals have a form of life there is no biblical understanding for thinking they have a spirit. What sets the human race apart from the rest of creation is the existence of our spirit even though it is a dead spirit. Therefore it must become a ‘born again’ living spirit before we can have eternal life in the kingdom of God. To have been created in God’s image doesn’t mean we are the same as God. It simple means we are patterned after God’s own likeness. When God breathed into man it was his Spirit giving man a spirit. The ‘air’ God ‘breathed in Adam that gave him life is a metaphor used to illustrate a mystery concerning the human spirit and how we have been created in ‘the image of God’. To show that it is not intended to be understood as physical air it is suggested that you review the following biblical references and substitute the word ‘breath’ wherever you find the word ‘spirit’ or ‘Spirit’ used; Prov. 20:27; Rom. 8:15-16; 1 Cor. 2:11; 1 Thess. 5:23; Heb. 12:9; & John 3:5-7. If the Adventist belief that the human spirit is nothing more than some kind of atmospheric air God ‘breathed’ into man to give him life were true then they would have been dead totally the instant they sinned. The question that you should consider is; what died the moment Adam and Eve sinned? Since they lived a physical life many years after they ate of the forbidden fruit it obviously was something other than physical. Sinners are declared dead in their sin so something did die. In John 3:1-15 Jesus informs Nicodemus, who obviously is a person who has physical life, that he is lacking a spiritual birth without which he cannot enter into the kingdom of God. In-other-words Nicodemus, who is a sinner just like the rest of the human race, has a dead spirit which must be born and brought to life before he can join the kingdom of God. Notice that to be ‘born again of the spirit’ means the human race once had a living spirit but it is now dead until brought back to life. 1. First, a sinner’s debt of sin must be paid. 2. Then a forgiven sinner who is covered by the blood of Jesus Christ will be ‘born again’ spiritually. It is very fortunate that our salvation is totally a work of our Savior Jesus Christ because there is nothing we can ever do that would play any part in effecting what only God can do. The belief that God is waiting for at least one sinner to somehow live a perfect life is a bit of Adventist fiction. It simply isn’t going to happen. In light of the false doctrine of the human spirit there is no way for an Adventist to fully understand what Jesus was teaching Nicodemus about the need for being born again of the spirit before he could join the kingdom of God. The Adventist misunderstanding of the human spirit leads to not understanding that ‘the sin problem’ is about both the sins we commit and our sin nature we were born with. Even if you could somehow learn to live a perfect life that would not bring life to your dead spirit. 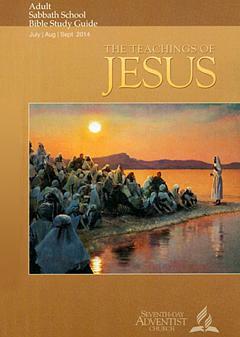 The lesson does well by exploring what it means to be ‘born again’. It is only as we compare this lesson material against established Adventist doctrines do questions arise. In yesterday’s commentary it was pointed out that mankind was originally created in the image of God which included having a human spirit. When Adam and Eve sinned their spirit died on the very day they sinned. When we accept the message of the gospel of Jesus Christ our spirit which was dead is now eternally alive. For our commentary we will examine the biblical teaching of what it means to be eternally spiritually alive as it impacts the Adventist belief concerning the state of the dead. As was established yesterday, sin resulted in the death of the human spirit. Sinners sin because they have a sin nature to do so. When Jesus died at Calvary he took upon himself all our sins yet there was no sin in him. He went to the grave with a living Spirit therefore it cannot be inferred that he ever ceased to exist, even when he spent ‘three days and nights’ in the grave. Nothing, not even death, can separate a Christian from God. Since our Savior did not cease to exist in the grave, the promise is that neither will we. In this passage King Solomon is writing of the activities of the living and points out that when you die you no longer have knowledge of what the living are doing. From this there is nothing for us to learn about the dead other than they have no knowledge of the activities of the living. From this quotation we learn nothing concerning the possible consciousness of the dead or anything else about their existence in the place of the dead. Their ‘love and their hate and their envy’ are all part of what was ‘done under the sun’, things they have been removed from. Notice carefully that it really was Samuel (1 Sam. 28:7-20) who was speaking from the grave when King Saul went to the Witch of Endor. Notice as you study this passage that while it was Samuel who spoke to King Saul he simply spoke as God informed him to speak. Samuel however was distressed that he had been bothered in his place of peaceful rest. The Adventist belief in an essentially nonexistent condition of the dead is in conflict with the biblical teaching that once a person has experienced their spiritual birth they can never be separated from the conscious presence of their Savior Jesus Christ. If you don’t understand this then there is a real danger that you haven’t experienced the eternal benefits of the pure simple gospel of Jesus Christ completed at Calvary. The theme for today concerns being born again through ‘the work of the Holy Spirit’. The lesson gives the impression, if we were not to compare what is said here against unchanged Adventist doctrine, that the Adventist church now teaches the pure biblical gospel message. First and foremost, the salvation of a sinner is the completed work of our Savior Jesus Christ, 1 Cor. 15:1-23. The Holy Spirit who indwells and regenerates the human spirit is a gift that results from the work of our Savior, John 16:1-15. Within Adventist doctrine there is misunderstanding of the word ‘eternal’. For the doctrine of Investigative Judgment to be true a person cannot know anytime within this present lifetime that they are saved yet that is what Scripture teaches. The false understanding of the ‘breath of God’ that gave life to Adam leads to not understanding that when Adam sinned his spirit died. Sinners are born with a sin nature which is what the Savior’s gift of the Holy Spirit regenerates and what Jesus meant when he said “you must be born again” when speaking to Nicodemus. Those who have responded to the biblical gospel message of Jesus Christ receive at that instant the Savior’s gift of the regenerating Holy Spirit and have been shepherded into the kingdom of God. You are at that moment declared by God to be a new creation because you have been given a spiritual birth. Then you grow in sanctification through the ministry of the Holy Spirit because you are declared a ‘new creation’. Sinners who have been regenerated by the blood of Jesus Christ are declared ‘a new creation’. God the Father in heaven views us through the completed atonement of his Son at Calvary. There is no such thing as the Investigative Judgment’ heresy. All men (and women) who are honest with themselves must admit they have utterly failed to keep even this one part of the Mosaic Law. Jesus is leading us into something far deeper and even more impossible when our focus remains on personal behavior. If you measure your spiritual growth through your behavior then there is no way for you to truly abide in Christ because you fail daily. The ‘treasure’, the surpassing power of God within the Apostle Paul and all other born again of the spirit Christians, is what we are to place our focus on. This is not a measure of our own behavior. Abiding in Christ is knowing our loving God chose to place his Treasure in us who are ‘earthen vessels’. Unless you understand that you are eternally secure in the perfect shed blood of Jesus Christ there is no way for you to truly abide in your Savior. There is no way to have this abiding peace and believe you must pass, through personal performance, the heresy of the Investigative Judgment. The lesson makes the point that prayer is an important component of abiding in Christ yet reverses the focus onto what we do rather than what Christ does within the life of a Christian. The prayer of a spiritually growing Christian is an abiding acknowledgment and surrender to the working and leading of the Savior Jesus Christ. Your self-will must be surrendered to the will of the Lord which means that Jesus your Savior who shed his blood at Calvary is the only source for the redemption of your soul. Our prayers are to focus on what our Savior is doing within us. In all things, meaning both that which may seem bad or unpleasant along with what is abundantly good, rejoice and give thanks in prayer to God. The lesson brings out much that is good on what it means to die to self yet Adventist theology contains several non-biblical doctrines which hinder having a full practical understanding of what this means. For you to consider the deeper meaning of this you must be a born again Holy Spirit indwelt Christian. In-other-words the foundation of your faith must be a faith that does not include additions to the gospel of Jesus Christ and still call it the gospel. For context it is good to understand the preceding chapters of the book of Romans. Here in this passage the Apostle Paul uses the ‘law of marriage’ to establish a foundational concept. When either the husband or wife in a marriage dies the law or contract between them is over. The context is that Paul is speaking of the covenant and the law it contained that God made between himself and the Hebrew people, the Mosaic Law. Jesus didn’t just die for the sins of the Hebrew people. He died for the sins of the whole world. When Jesus died it was in your place therefore the Old Covenant and the law it contained is now void and gone, Jer. 31:31-34; I Cor. 11:23-26; Heb. 8:1-13. Using the Apostle Paul’s example, anyone who attempts to now live under any part of the Old Covenant law is an adulteress. It cannot be done. Those not covered by the blood of our Savior are ‘living in the flesh’ meaning they are dead in their sins. Those who are covered by the blood of Jesus still exist in the flesh but are reckoned dead to the law and receive the promise of eternal life confirmed through the resurrection of Jesus Christ, 1 Cor. 15:12-21. The more we die to self-daily the more we humbly realize and experience the eternal truths found in Romans chapter eight. For those covered by the blood of Christ nothing can separate you from the love of God. Scripture simply instructs Christians to daily ‘die to self’. Yesterday we saw that Jesus expects his followers to die to self-daily. To ‘die daily’ recognizes that while our sins are fully covered by his shed blood at Calvary Christians still have a ‘fleshly’ body that sins daily. The only way to experience a victorious life is to die to our fleshly self, daily. In faith know that our Savior is also our Lord who has imputed his own righteousness within us actively, ongoing, daily. When we die to self we recognize that the Mosaic Law with all its demands was fulfilled by our Savior and it is no longer binding upon us because we are recognized by God as dead to our flesh even though we still live within it. Instead of self which is reckoned dead, Christ lives in us through his gift of the Holy Spirit. In the place of our old self, dead in our sins, we now are to live in response to the greatest two commands, to love God with all our heart and soul and to love our neighbor as ourselves. To deny self-daily is to place others above our own wants, desires or needs trusting God to provide for us in a way of his own choosing.